in. We hope you enjoy reading our class page. We hope that you all had a relaxing half-term break and are ready to get stuck into the next few weeks. Our topic this half term will be Living Things and their Habitats, with a focus on endangered species and environmental changes. In literacy we will be writing for different purposes including, a newspaper report, diary entry, postcard and poetry. The year 6 children are working very hard practicing for their SATs. We are very proud of them. We have got some great sports coaches in school at the moment so the children will be very active throughout the week. In Class 3 this will include: karate, football and multi-skills. Homework will be given out on a Friday and handed in on the following Wednesday. Spellings will be given out on a Friday and tested the following Friday. Children in year 4 will be given spellings from the Year 3/4 list and children from year 5/6 will be given spellings from the year 5/6 list. Some of the children will have experienced these spellings last year however repeating these will allow the children to become more confident at spelling these words. The spellings are provided below, the date above the spellings list is the date on which the spellings will be tested. The children are expected to read at home at least three times a week. Reading diaries will be handed in and checked on a Monday. If they have read five times in a week they will receive two Dojo points and if they have read seven times they will receive three Dojo points. The children will be given a short mathematics test every Friday. This will sometimes include times-tables however it may also include addition, subtraction and division questions. In order to answer the multiplication and division questions correctly I would like the children to regularly practice times-tables at home. Children can now log on to Times Tables Rock Stars. While some lucky children in Class 3 are away on their trip to France the rest of us will be celebrating Roald Dahl's marvellous work. 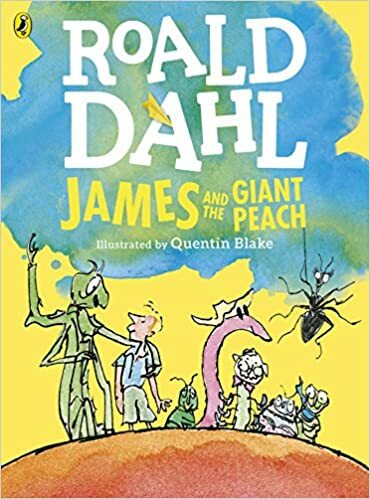 We will be studying James and the Giant Peach. The focus will be on the wonderful vocabulary, sentence structure and characterisation used by Roald Dahl. Do you have any more ideas for this page? Why not let your Teacher know? !